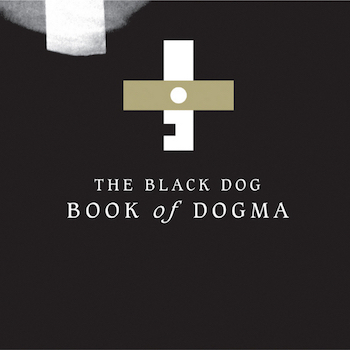 Book Of Dogma is a set of re-releases of early day The Black Dog productions — an influential intelligent electronic music trio that later morphed into Plaid by some of the members. The first three tracks is their first EP called Virtual of which the title track has been present in many DJ mixes; instant rave de-ja-vu when listening to these early 1990s tracks. The other EPs present is The Ago Of Slack with electro samba and other whacked out electronic funk. The passage of time has dulled down some of the material such as the emulation of Detroit techno sounds and Kraftwerk blips. And some material is amazingly fresh like the Weight and Glassolalia that I would not hesitate playing at a modern club today. Some of the tracks also have a feel of early day Drum and Bass experiments that were then finessed by other UK producers. However, this is a good time capsule of an important IDM band who pioneered a lot of styles that were emulated, still today as an homage to the genre-bending tour-the-force which was The Black Dog.